Insurance adjusters are trained to view certain types of claimants with heightened scrutiny. A personal injury lawyer in Newport Beach can discuss the reasoning behind this. 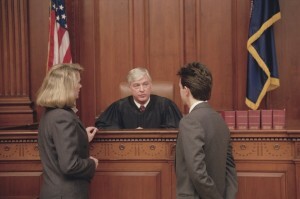 Adjusters generally view claimants with practical knowledge or expertise in law or medicine with a more skeptical eye. As a personal injury lawyer in Newport Beach can explain, the insurance company may be more likely to believe these groups or professions have the knowledge to “game the system” of insurance claims. A Newport Beach personal injury law firm can discuss problems that may arise if you belong to one of these groups. Accidents Involving Rental Vehicles: Rental truck accidents often happen in remote locations and involve high property damage. Adjusters look carefully for fraudulent claims. Medical Professionals: If you are an EMT, nurse or other medical professional, expect heightened scrutiny of your injury claim. A Newport Beach personal injury law firm can help address adjuster concerns. Police and Union Employees: Your personal injury lawyer in Newport Beach will explain how adjusters sometimes feel cops and union members may have been “coached” on how to file an accident claim for money. At Russell & Lazarus APC, you can talk to an experienced personal injury lawyer in Newport Beach to review your claim and discuss your legal options. Call 949-851-0222 to set up a consultation.